At AdvantaClean of Iredell County in Mooresville & Clemmons, North Carolina, we are your #1 professional for water damage assessment, mold removal, and duct cleaning. We believe that a healthy home or business is a happy one, and that is why we’re committed to helping regain peace of mind after an incident of water damage or mold infestation. 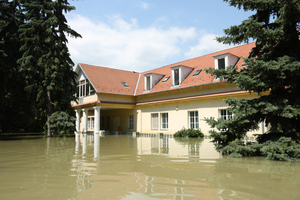 If you have had water damage in your home or business caused by flooding, leaking roofs, sewage drain backups or another disaster, we’re here to clean up the mess! 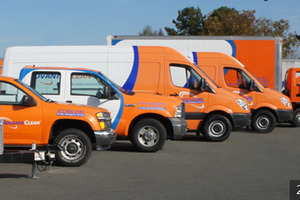 Our 24-hour service line is prepared to take your call whenever you have a water damage problem. Our expert team of technicians is dedicated to a 2-hour response time to help deal with any water damage need, big or small, before it becomes a more serious problem. We ensure that all levels of water damage are accessed and taken care of, including pumping out freestanding water and removing water from carpets and upholstery. 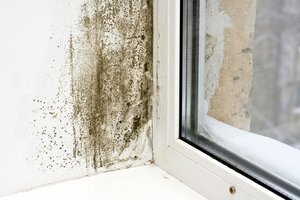 Improper drying and cleanup of water will often lead to harmful mold buildup in your home. This can lead to health problems, including respiratory problems, allergies, and asthmatic symptoms. If you suspect you have or have seen mold in your home, don’t wait-- call us to take care of it now! We provide our clients with expert mold inspection, removal, and remediation services for all kinds of mold in the home or office. Due to the changes in construction methods and materials, indoor air pollution is becoming a significant problem. That is why AdvantaClean of Iredell County encourages homeowners to have their HVAC systems and air ducts cleaned. If you are worried that the air you’re breathing in your home isn't the best quality, we’ll inspect and clean out your air systems of dust and debris to make sure you’re breathing only the best air! At AdvantaClean of Iredell County, we are a Certified Mold Inspector (CMI), Certified Mold Remediation Contractor (CRMC), Water Damage Restoration Technician/Fire & Smoke Damage Restoration Technician (Reg. # 156142), and are Lead Renovation, Repair and Painting Certified (# R-I-18376-10-02215). We serve an extended area around Mooresville, Clemmons, Mocksville, and Tanglewood, North Carolina. We are 100% committed to providing you with only the best experience possible when it comes to restoring your home and property back to its original condition after mold or water damage, so don’t hesitate to contact us today! Keep your facility clean and up to standards!